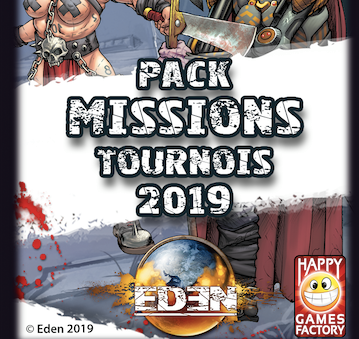 Happy Games Factory stellen ihren Missionspack 2019 für Eden-Turniere zum Download bereit. It’s time to start training for the final that will occurs during the Happy Factory Days on February 2nd and 3rd! We will also propose a pack of these cards for sale for people who don’t like to have homemade prints among their game equipment. It should be available on the site on January 3rd! Der Missionspack kann auch in Kartenform ab dem 3. Januar käuflich erworben werden.